The Spanish goalkeeping legend, Iker Casillas, is about to set a new UEFA Champions League appearance record, when on Tuesday, November 4th, 2014, Real Madrid face Liverpool in the fourth round of games in Group B. This will be his 144th appearance in the competition. Iker Casillas has been a one club man throughout his career, playing at Real Madrid since he was only 16 years old. 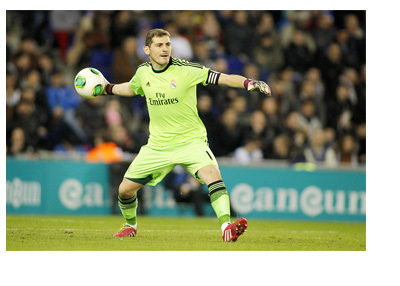 The 'Saint Iker' as they call him in Spain, is now 33 and he has won it all representing his club and country. Twenty trophies total to be exact. Three of those are Champions Leagues, two are European Cups and one is the World Cup. Here is a great interview with Iker Casillas from the Guardian. Please note that only the UEFA Champions League (1992-93 onwards) appearances have been counted, not including the qualifying rounds.